Will Spotify be gone in 12 months? Spotify - can it survive? Spotify could be gone within a year, according to a senior executive at one of the world's largest music groups. 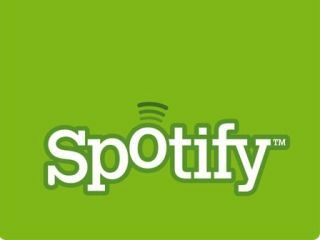 The Times is reporting that the anonymous source has said: "Spotify will be dead within a year if it carries on like this," after questions were raised over whether Spotify could continue in its current guise. Founder Daniel Ek has also written to The Times, urging music labels to re-think the 'pay per play' model currently imposed on the streaming service, believing the royalties being asked are unsustainable. "I believe this is something that most people in the industry can agree to, but it can't happen if the industry continues to enforce the per-play fees it has tried so hard to hold on to," said Ek. "The new model is about figuring out how to increase the revenue per user between the different models, not squeeze as much as possible out of every single transaction." In the letter Ek said he believes the company should be given more time to prove itself as a business model, instead of asking for overnight success based on its popularity. "It would obviously be wrong for me to compare Apple's success with iTunes to Spotify. We are two very different companies in two different phases of a company's cycle." "I'm also very aware (and we are regularly reminded) of the digital music graveyard where many start-ups are to be found dead and buried. Yet whatever the business, big success takes years to build and there are very few counter examples." However, it would be wrong to assume that Spotify is simply going to continue online growth and simply hope it eventually becomes profitable. In the last few months, the music streaming service has launched a mobile portal on the iPhone and Android phones, and has recently announced a deal to bring Spotify to TVs as well (in Sweden, although the expectation is it will extend to other countries too). While the likes of Twitter and Spotify are very much in early investment cycles, their success has increased calls to show how they will be self-sustaining. Whether Spotify can buck the trend and become the beacon of the new internet-based models remains to be seen.